Your friendly neighborhood Hannaford Shop and Save store! Ellis Family Market proudly carries Hannaford brand food products. At Ellis, quality is second to none and you can really see it when you walk in our doors! 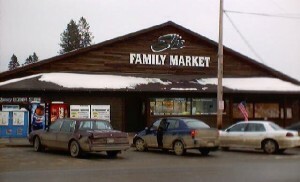 When you shop at Ellis Family Market you will find the freshest of fruits and vegetables. We work diligently with our surrounding farmers to offer as many Close to Home products as possible. We also have an extensive variety of organic produce from which to select.